Local media sweetheart Jerry O’Connell has been sent a message. Kevin Sorbo, the American actor best known as Hercules, Captain Dylan Hunt, and the guy who once yelled “DISAPPOINTED!” really loud, has challenged O’Connell to a fight for the right to be North Bay’s heartthrob. O’Connell related how Sorbo, or someone representing Sorbo, fired a meter long razor-tipped arrow into O’Connell’s trailer Thursday. Attached to the arrow was a canister, and inside the canister a letter challenging O’Connell to a “deadly duel to be the definitive darling” of North Bay. Many will remember Kevin Sorbo as Joseph from Joseph and Mary – a movie set in the Middle East that filmed in North Bay during the downright balmy winter of 2015. But it may be O’Connell’s turn to stand tall. Among the long and rambling pages of the nearly 80 page letter tightly packed inside the canister are the details of the dangerous duel. The North Bay Bay News reached out to Kevin Sorbo and were disquieted to learn he was already in North Bay (and had been all along). “The first match-up will be seven rounds of 1890s bare-knuckle boxing, followed by five rounds of MMA fighting, and finally a light, comely game of chess,” Kevin Sorbo declared, biceps flexing. Sorbo explained the final two rounds of his death tournament. “I don’t think O’Connell is going to make it that far, but if he does, the fourth round is killer,” Kevin Sorbo proclaimed, pecs rippling. And if it’s a tie? Abs muscles glistening like blue-green algae, Sorbo then climbed up the side of City Hall, where he announced he would wait for O’Connell until they could begin their deadly struggle for North Bay’s affections. 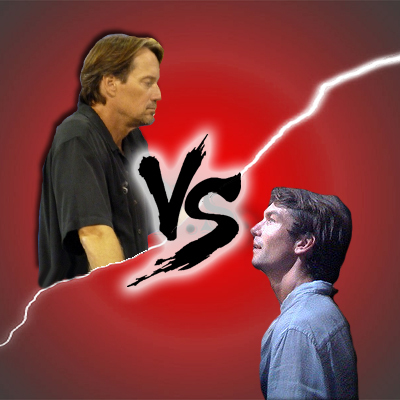 O’Connell has yet to accept Sorbo’s death battle invitation. After some questioning, O’Connell asked The North Bay Bay News to leave, but not before taking two super cute selfies with us and then signing our faces.